What could be more delicious and satisfying than a warm mug of apple cider sprinkled with cinnamon, or a cinnamon-rich baked apple with crushed nuts on a cold winter day? 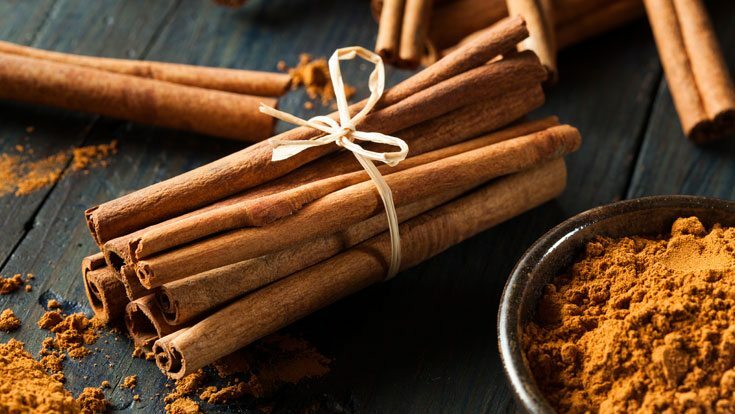 Cinnamon is welcome all year round, but its special scent is a particular treat in the winter months. It’s exciting to learn that cinnamon benefits aren’t only relegated to the tastebuds. This SuperFood is actually good for your health. Cinnamon, that delightful spice eliciting memories of Grandma’s kitchen and the comforts of home, is one of the oldest known spices. It has long been used in traditional medicine and is currently being studied for its beneficial effects on a variety of ailments. 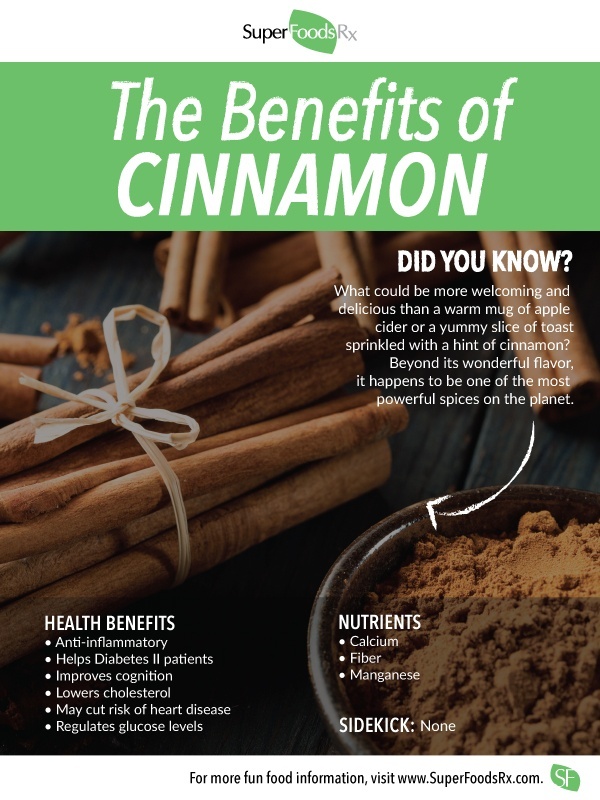 Indeed, recent findings on the power of cinnamon to promote health, in particular its benefits for people with type II diabetes, have elevated its status to SuperSpice. Cinnamon comes from the interior bark of evergreen trees that are native to Asia. The type we most commonly see in the supermarket is cassia cinnamon (Cinnamomum cassia). Better known as Chinese cinnamon, this sweetly spiced flavor we’re familiar with hails from China and northern Vietnam. There’s also Ceylon, or “true,” cinnamon (Cinnamomum zeylancium), which is sweeter and has a more complex, citrusy flavor. Both types of cinnamon are available in sticks (or “quills”) or ground.